Generation Z and Brand Loyalty Starbucks and Delivery in China: A New International Partnership? 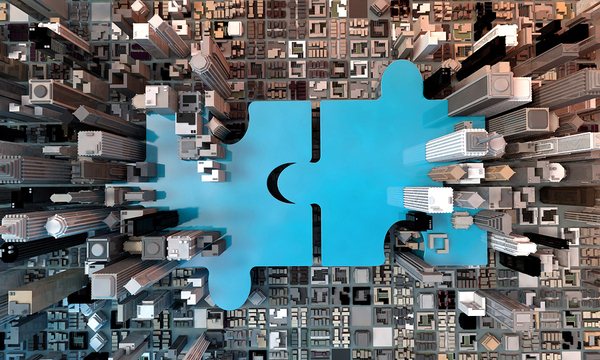 This year has been one of the largest for mergers and acquisitions in the aggregate ever recorded – if not the largest. In the first half of 2018, the market for mergers hit $2.5 trillion, a pace that, if maintained, will make 2018 bigger than any other year, according to Inc. This year may be the biggest M&A year ever recorded in U.S. history. And one of the biggest stories within M&A was the record of start-ups. Traditionally, start-ups are smaller firms and thus M&A activity surrounding them is smaller as well. But in 2018, even start-ups made a number of deals that exceeded $1 billion. One of the reasons, of course, is that technology news companies are flush with cash – and cash can power many a merger and acquisition. Here are the top M&A deals with start-ups in 2018, by size of deal. FlipKart is an India-based e-commerce company very similar to Amazon. In fact, its business leadership was initially two ex-Amazon employees, and followed the familiar trajectory of retailing books online first. But at this point, it is responsible for almost 40% of all the e-commerce in India. Its acquirer indicates the increasing importance of e-commerce and global markets — it’s the U.S.’s retailer of all trades, Wal-Mart, which bought 77% of FlipKart for $16 billion. The deal will allow Flipkart shares to undergo an initial public offering (IPO). Utah-based Qualtrics is a start-up that has long specialized in customer surveys. It’s a sound company, with reported revenue of $184 million for the first half of this year. Not only that, but it was in active filing for an IPO. But before that could happen, the large German software company SAP bought Qualtrics for $8 million. The coding company GitHub is also a robust company, reporting recurring annual revenue of $200 million in 2017. They also boast a robust community, of 27 million developers. Washington-based tech giant Microsoft liked both, apparently, and acquired GitHub for $7.5 billion in stock. Duo Security was a Michigan-based security firm that focused on two-factor authentication. The rising importance of security caused Cisco Systems to purchase Duo for $2.35 billion. iZettle is a Stockholm-based mobile payments company that’s been in operation for eight years. It was a European fintech darling, and was engaged in an IPO in early 2018. But PayPal came a-calling before the IPO was on the boards, and bought iZettle for $2.2 billion. One hitch: in the United Kingdom, regulators fear that the purchase gives PayPal too much of a market monopoly. The investigation is ongoing. Start-up founders can take heart from the case of SendGrid, an e-mail company, because one of its co-founders had worked on three prior start-ups, and seen each of them go bust. Not only did the fourth try, SendGrid, flourish moderately, with 350 employees, but it attracted communications company Twilio. Twilio bought SendGrid for $2 billion worth of stock.